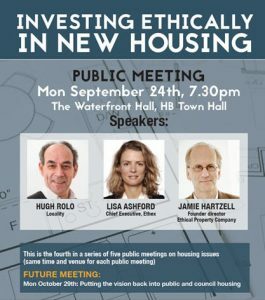 We have now reached the end of our series of five public meetings, on the theme Housing: It’s an Issue. These were held in Hebden Bridge Town Hall between June and October 2018. We give below details of the meetings, with links (where available) to speakers’ presentations. Monday June 4, So what’s all this about a housing crisis? Monday July 2, Housing: what can community-led initiatives achieve? If you’d like to be kept up-to-date with information on our series of public meetings and other news about our progress and events, sign up to our mailing list. We will keep your email address private and you can unsubscribe at any time.